This post is written by Owl. 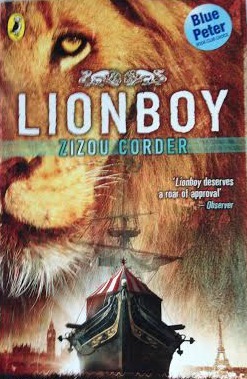 This review is about Lionboy: The Chase, written by Zizou Corder (which is a name used by authors Louisa Young and Isabel Adomakoh Young, whose names were too long to fit on the book). This book continues the trilogy of the catspeaking boy, Charlie (see my review of the first book, Lionboy, here), whose parents get kidnapped. It starts with a micro-version of the last book, explaining briefly what happened before. It was chosen by the Blue Peter Book Club. The story continues in the Orient Express, where Charlie takes his lions, whom he rescued from a circus, to meet King Boris, the friendly king of Bulgaria, in his carrige. Edward, who worked for King Boris, went to Venice with them. While they were there, Charlie and the lions, with the help of Claudio, the boatman, overthrow the Doge, the evil ruler of Venice, and sail to Morroco, the lions’ home. Meanwhile, Charlie’s parents (who escaped) head to Morroco too. This book is excellent, it uses powerful verbs, adverbs and adjectives to make the passages exciting to read. I will give this book a 5/5 rating and I highly recommend it. This entry was posted in Books, Children's books and tagged books, Lionboy, review, Zizou Corder on October 24, 2014 by Hannah. Charlie Ashanti is a boy who can speak to cats. When his parents are kidnapped, he goes after them and picks up six circus lions on the way. I think it is very well written. It has believable characters and a good plot. I like the way they included sheet music so you can know how the songs sound. Mummy and I think it deserves a 5/5 rating. The Lionboy story does not end here. 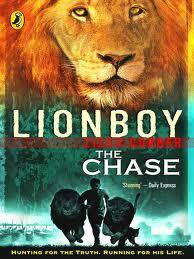 It continues in two more books – Lionboy: The Chase, and Lionboy: The Truth. I will review them when I have read them. I very highly recommend this book. This entry was posted in Children's books and tagged Lionboy, Zizou Corder on May 3, 2014 by Hannah.